Ohh, maybe. I would like to see it open again though. The street team was definitely great, especially for the promotion that it gave Kate. Do you remember on her Kate On Tour Myspace when she had the thread where fans could ask questions and she would answer? I would like to see that as an addition to her website. Although, now that she's more famous she might not have the time to reply to all of those fans. But maybe something along those lines. I definitely think that's a good idea. I know with other celebrities they'll hold contests and the winners get to ask questions. But then there are people who are left out and don't get to have their questions answered. New question: What do you want Kate's new songs to be like mainly? I know we all want a variety, but for the most part, what do you want the new songs to sound like? Acoustic or not? Piano-based or guitar-based? Slow or more upbeat? I don't want to say that it doesn't matter, for that sounds unkind; but I don't think that'll be what I look for when it comes out. 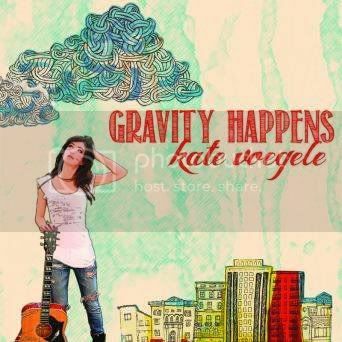 I just want her words and her voice to do what they've done for as long as I've been a fan of Kate Voegele. I want them to reach right down into the depths of my soul, and give me everything I want from music; songs that make me think, make me feel, and make me hope. I may have borrowed those words from a piece I did on my tumblr, but they're pretty good so I'll let it slide. Forgive the shameless self-promotion, please? I'd definitely like to see a mix of different styles... pretty much a continuation of what she's done before, but with more progression in the lyrics and such. But regardless of what style she'll do, I'm sure it's going to be amazing. Richard I love the way you speak. (There's probably a less creepy way to say that but it's true). That was a good answer. Well I was rooting for a couple songs that are slow and piano-based because I love when she writes songs like Forever And Almost Always, but I like your perspective a lot better I definitely want her new songs to touch us in the way her current songs do. I suppose she'll be able to do that with any song because has a talent for that. Okay let me come up with a better question then. If she answered everyone's questions than she's never finish. Definitely acoustic or she should just do an acoustic tour. That would make me really happy. I can't really choose what i'd like to hear, I trust Kate. I figured this was the best place to post this... well, I was at a karaoke bar in Edmonton tonight, and I checked out the list of songs they have (and believe me... they have a lot!) Well, when I saw one of the songs on there was "99 Times", I knew I had to request that I sing it... and I did! I hope I did Kate proud there, knowing that her songs have been recognized all over and that I helped bring her to a greater audience. Yeah, this thread is just for everything Kate related That is so awesome! Way to represent! I'm so happy that they had her on the list. Just to get some more discussion going on in here...what does everyone think of the album cover?! And the title "Gravity Happens" and the single name "Heart In Chains?!" I love the album title and cover so much. It looks so fun, it's so colourful. What do you all think of the cover and the title and the single title? 6 weeks until the release date! Everything about it so far is BRILLIANT. I love the artwork theme, and I hope she continued with a similar theme for the inlays! I'm in love with the album cover already but I think I may have liked it more if it wasn't as cartoonized. Kate's just so beautiful and I think it just hides some of her beauty.